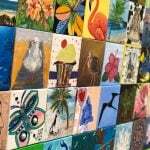 Planning a visit to the Florida Keys this spring or summer? 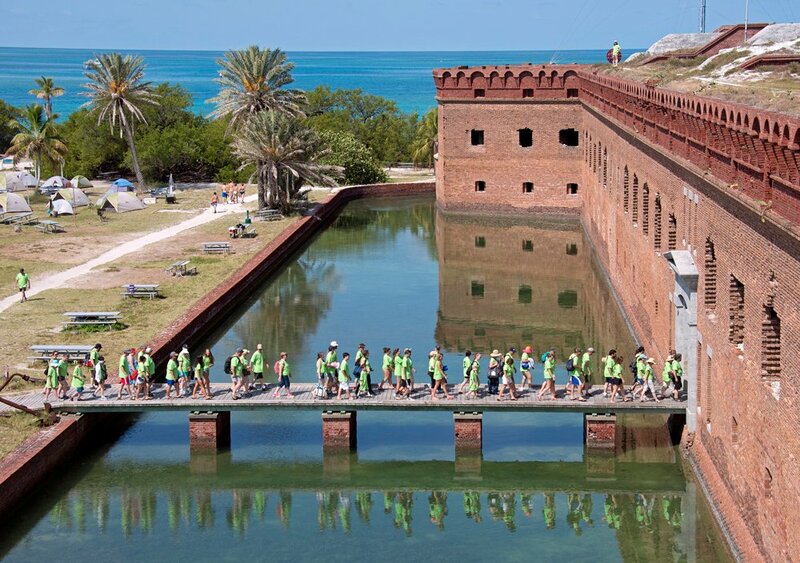 As well as enjoying the island chain’s many land-and-water attractions and near-addictive easygoing vibe, you can also explore two of the United States’ most intriguing places: Dry Tortugas and Everglades national parks. Once you’re in the Keys, you can travel easily to both the remote Dry Tortugas National Park, located 68 miles west of Key West, and famed Everglades National Park, which adjoins the near-shore waters of Islamorada and Key Largo. And both parks are nothing less than national treasures. The unspoiled Dry Tortugas, alive with rare migratory birds and colorful marine life, covers 100 square miles in the Gulf of Mexico — although 98 percent of the park is underwater. The Tortugas’ land mass is made of up of seven small coral-and-sand islands: the 22-acre Garden Key and the keys of Loggerhead, Bush, Long, East, Hospital and Middle. 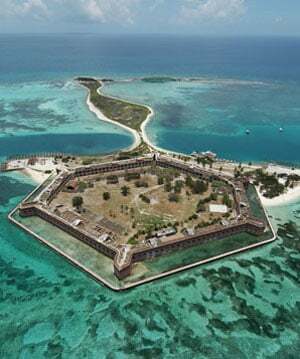 The park’s centerpiece, looming over Garden Key, is the awe-inspiring Fort Jefferson. One of the largest masonry structures in the entire Western Hemisphere, it’s sometimes called the Gibraltar of the Gulf. Its construction began in 1846, and the massive fort served as a Union military prison for captured deserters and others. Its most famous prisoner was Dr. Samuel Mudd, who was convicted of conspiracy in President Abraham Lincoln’s 1865 assassination (but later pardoned). 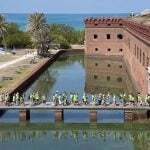 Actually, the Dry Tortugas were first discovered by explorer Ponce de Leon in 1513. They were named “Las Islas de Tortugas” because of the large number of loggerhead, green, leatherback and hawksbill sea turtles found there. And “Dry” refers to fact that, besides rain, there’s no source of fresh water in the Tortugas. These days, you can “unplug” at the remote park with ranger-guided tours, pristine beaches for sunning, world-class bird watching and clear blue waters for snorkeling. To preserve the unspoiled environment, access to the park is limited. It can be reached only by ferry, seaplane or private boat. The high-speed 110-foot catamaran ferry Yankee Freedom III is the only commercial boat allowed to take passengers to the park. 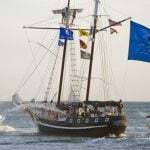 The daylong adventure includes breakfast, lunch, complimentary snorkeling equipment, the round-trip water journey and plenty of time to enjoy the Tortugas’ fort, beach and seemingly endless vistas of sea and sky. You can also fly to the park with Key West Seaplane Adventures. 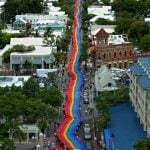 Morning, afternoon and full-day excursions are offered aboard 10-passenger planes, which depart from the company’s headquarters at Key West International Airport. Travel time is about 40 minutes each way, with ample time to explore the park. At the northern end of the Keys and into mainland Florida, you’ll find Everglades National Park. It was established in 1947 and protects 1.5 million acres of the largest subtropical wilderness in the United States. A UNESCO World Heritage Site, the Everglades are known as the “River of Grass” — named by famed environmental writer and activist Marjory Stoneman Douglas. 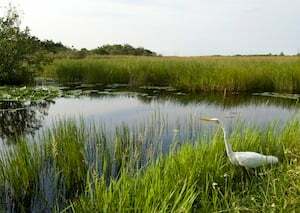 The Florida Bay wilderness, located within Everglades National Park, is a popular sport-fishing destination. And the vast subtropical Everglades wetlands include freshwater marshes, tropical hardwood hammocks, pine rocklands, mangrove and cypress forests, saltwater marshes and seagrass ecosystems. 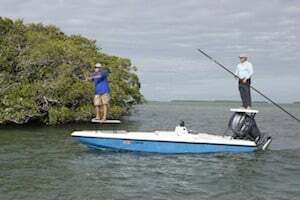 The Florida Bay wilderness, located within Everglades National Park, is a popular sport-fishing destination. Upper Keys light-tackle fishing guides are experts on the fascinating area. There you might see wildlife including roseate spoonbills and other wading species, American eagles, bottlenose dolphin, crocodiles, sea turtles, alligators and manatees. Park sport fishing, with a focus on catch-and-release, is world-renowned for snook, trout, tarpon and scores of other species. Expert Upper Keys light-tackle fishing guides and eco-tour outfitters are ready to accompany you and introduce you to the unique wildlife of this fascinating wilderness area. If you enjoy camping and paddling excursions, check out the extended kayak and canoe adventures that are available. Or consider taking a day trip by car to the Flamingo outpost, the southernmost point in mainland Florida. The route is rich in walking trails and observation decks that offer stunning views of the park. 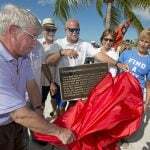 As well as the two national parks, there are many other places in the Keys where you can explore the region’s unique environment. To start discovering more eco-adventures and eco-attractions, just click here.